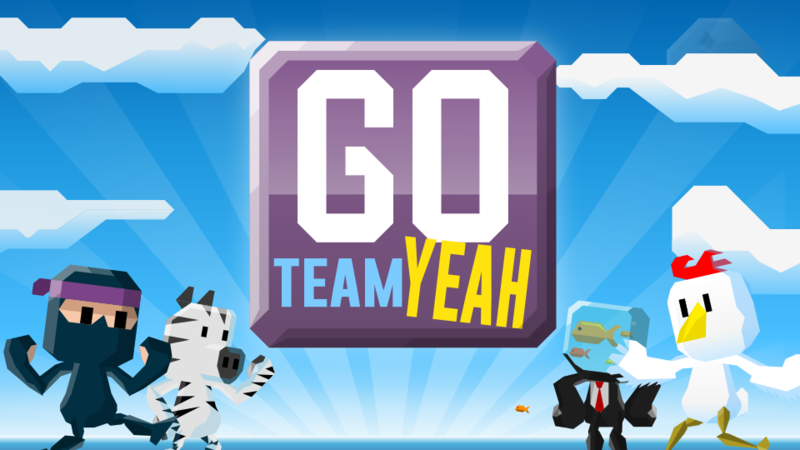 Go Team Yeah is a team brawler game for 2-4 players. 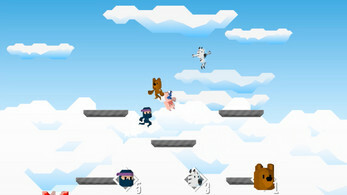 choose your character, gamemode and level and jump into the action! Ensure your device is running on the same wifi network as Go Team Yeah. Full Gamepad support will be added at a later date. Everyone for themselves! Jump from platform to platform and try to stomp your adversaries. First player to 5 kills wins! It's Reds Vs Blues. Stomp your adversaries to collect energy, then throw it into your machine. The Machine will make a bomb that you can then drop into your adversaries machine. First team to destroy their opponents machine wins! Collect powerups to improve your chances of success.